Lisbon is one of those cities that at least one person in every friendship circle has visited. 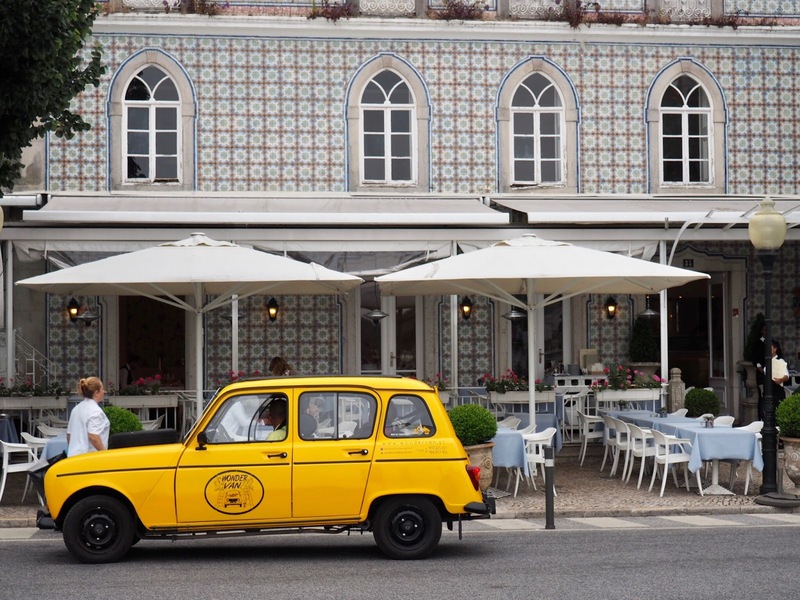 The tell-tale patterned tiles on the roofs, floors and walls, the mustard yellow tram, the pasteis de nata (aka the elixir of life) – all signs of a classic trip to the Portuguese capital. 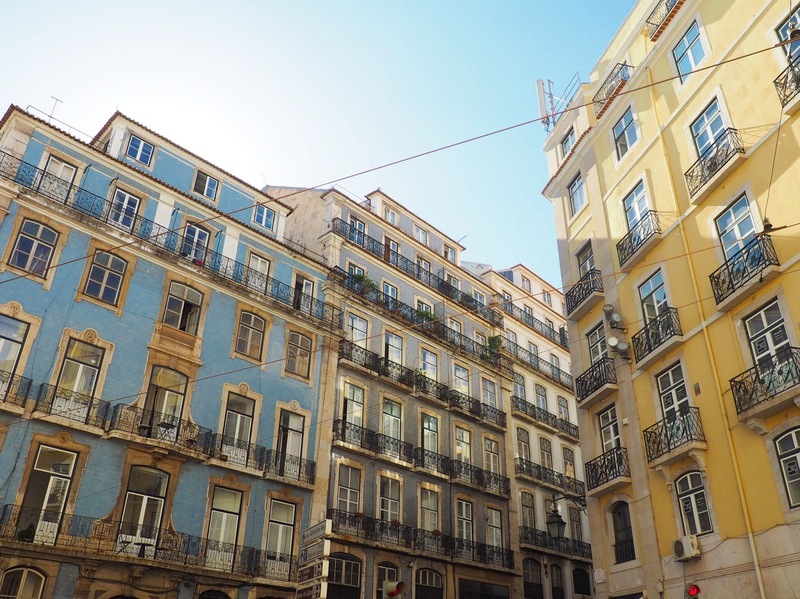 Our apartment in Sao Bento was centrally placed, and was perfect for our holiday plans. We wanted to explore every part of the diverse city, and were lucky enough to have six days to do it. 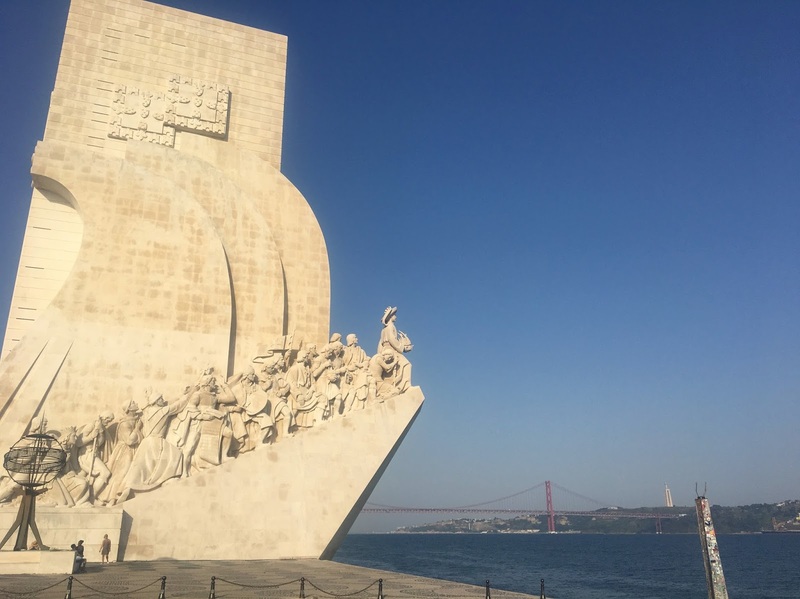 I have no idea how people cram a visit to Lisbon in a long weekend – there were still things we didn’t get round to doing! As I’ve said, Lisbon is a huge city that takes around 45 minutes to drive from one side to the other, so it’s important to plan your days. 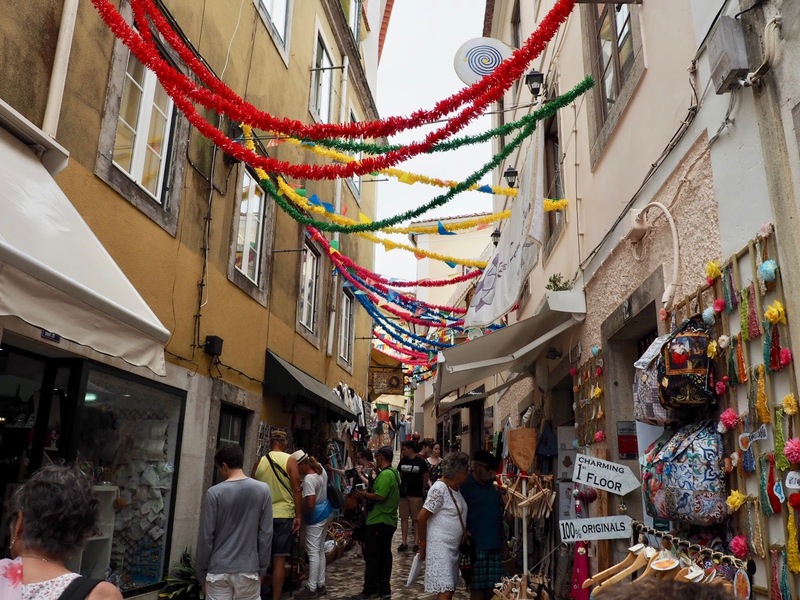 We started this day exploring the centre of the city called Bairro Alto, which is mainly filled with the shops you would find in most European cities, bars and tourist trap restaurants. The locals love their sardines, and there are entire shops filled with tins of the little slimy things! I very much doubt the natives would stock up in these tourist spots at €8 a tin, but the colourful interiors and staff wearing fish hats (and hating their lives along the way) are worth a visit. Also smack bang in the middle of Bairro Alto is the Santa Justa Elevator. 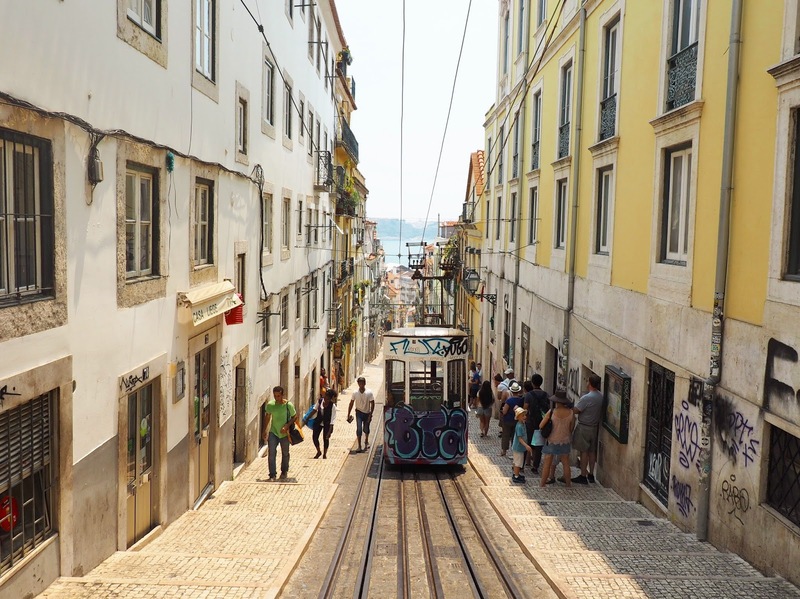 It is quite simply a lift built within a gothic tower, and is used as a easy means of transport between the higher level Baixa district and Bairro Alto. Despite, really being just a lift, its roof is an amazing viewing platform across the entire city. You can see orange roof tiles for miles and is particularly stunning on a clear day. Access to the roof and a one way trip in the lift costs just a few euros, and despite being an obvious tourist trap, is worth it. We then decided to make our way to Alfama Castle, which is atop an insanely steep hill. As the heat was almost 40 degrees, we jumped in a taxi like the lazy tourists we are and were on our way. Our non-English speaking taxi driver simply drove us around the corner for a three minute journey and then asked for five euros before abandoning us. We found the whole thing hilarious, and was the prime example of silly Brits abroad! 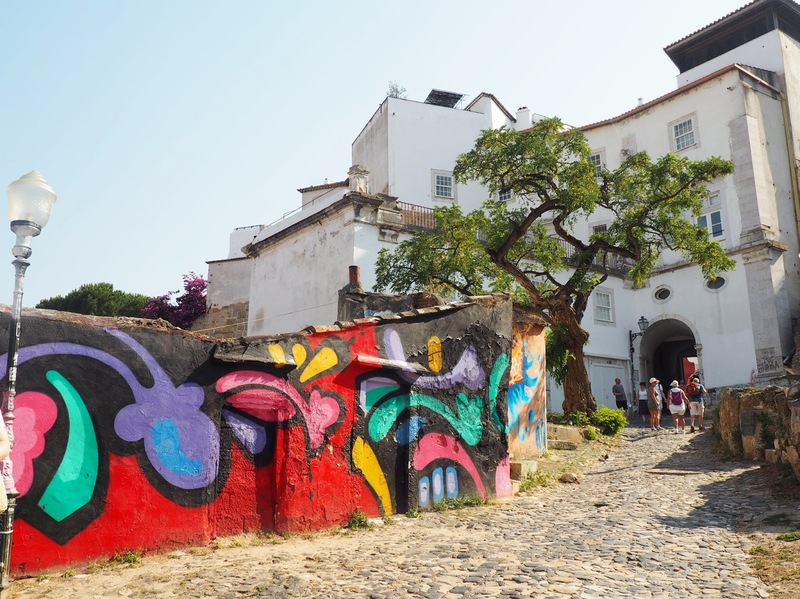 In the end we were glad about our little detour because it gave us the opportunity to explore the quiet side of Alfama. We wandered around the maze-like streets of the district, some of which were so narrow we had to walk single file. People around us were hanging out their washing and children were playing in the roads, much like any other residential street. Although a steep walk, I would definitely recommend making your journey to the castle on foot – you would miss so much in a car! 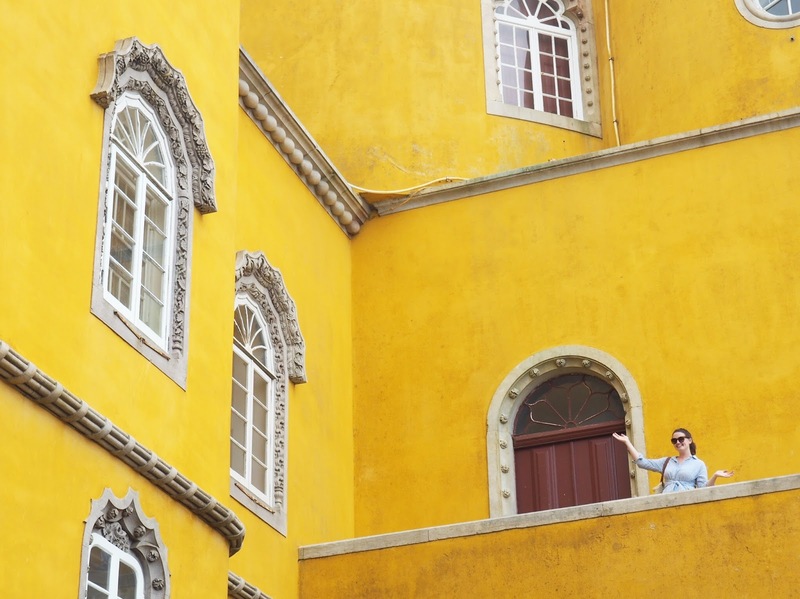 Although not much of a history buff, I loved the castle – Castelo de Sao Jorge. It was another breathtaking viewpoint, with never ending landscapes and photo opportunities. We were there late afternoon and it wasn’t too busy, but I imagine it can be hectic in prime times. Entry into the castle was €12 apiece which, again, is worth it just for the view. The view from the elevator rooftop with the castle in the distance! Home to the first ever pasteis de nata (custard tart) shop, Belem is a very different vibe to Alfama. 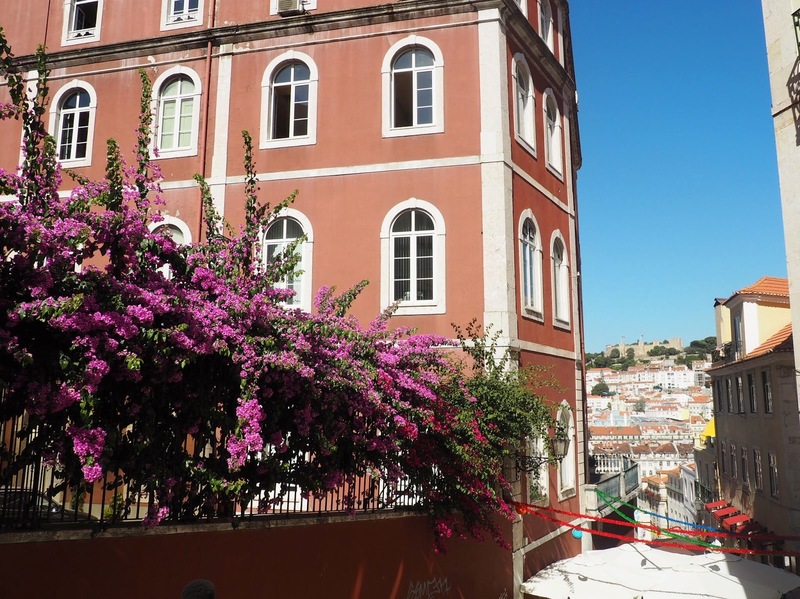 With endless open space and immaculate streets, it couldn’t be more different to Alfama. 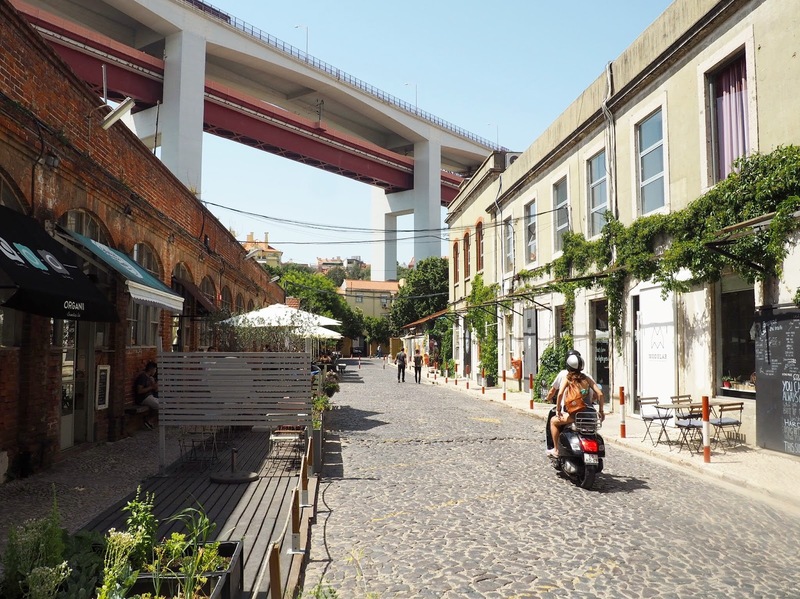 We started our day by getting a taxi from our Airbnb to air centre LX Factory, which was just a short ten minute drive from the city centre heading towards Belem. LX Factory is a hidden gem that I discovered on Instagram, and I’m so glad I did. As alternative as Shoreditch but with a cultural twist, this renovated factory beneath the famous bridge boasts restaurants, cute cafes, art, book stores and graffiti galore. It really is picture perfect and a perfect place to stop off en route to Belem. We watched from LX Factory to Belem, which took around 45 minutes. It’s nice to travel around vast cities on foot to experience the different neighbourhoods, and naturally we picked up multiple lime Calippos along the way (why don’t they sell those beauties in the UK?!) 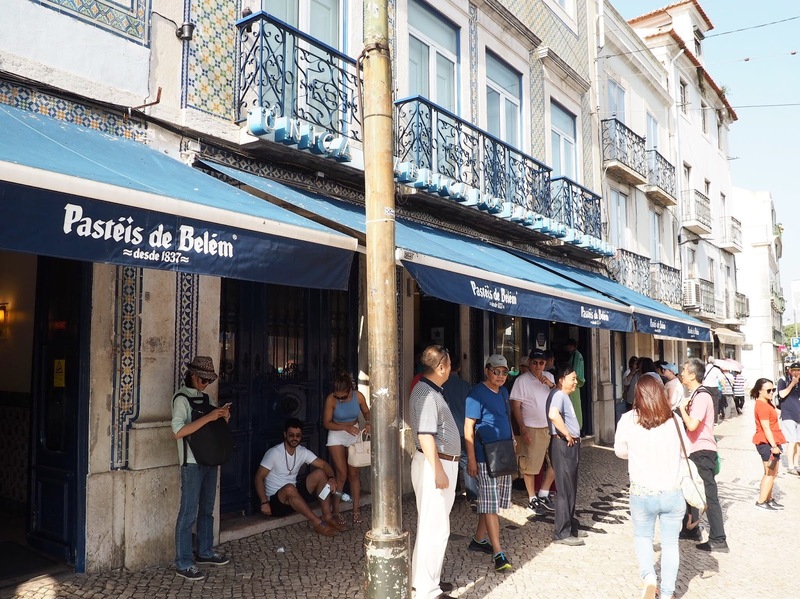 Once in centre of Belem, we stopped by Pasteis de Belem – the first ever custard tart shop – which was predictably rammed with tourists. We got there just after a coach had arrived so it was heaving, and one woman ordered 50 tarts! We then wandered a few minutes up the hill to the Tropical Botanical Garden, or Jardim Botanico Tropical. 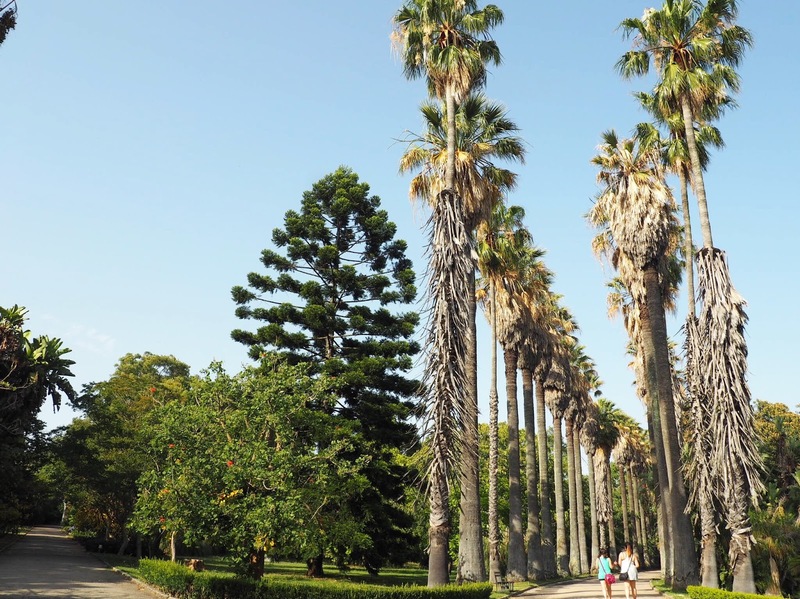 Entry is just a few euros and it’s so worth it – we spent around an hour wandering around the the huge palm trees, ponds and plants from far and wide. From there we walked towards the river to see the Padrao dos Descobrimentos, a huge white monument, and then along to the famous Belem Tower. I wasn’t fussed about going inside, which was lucky because the queue was absolutely huge. By the time we reached the tower it was around 3pm, so it’s worth noting an early start if you want to venture inside! A quick Google of Sintra will make it self explanatory as to why it was near the top of my list of places to go when in Lisbon. 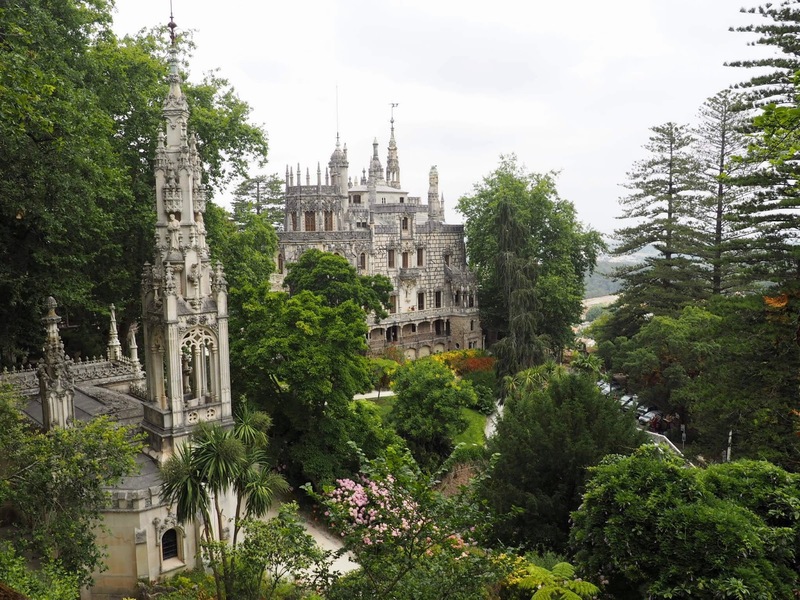 Sintra is at the foothills of the Sintra Mountains and is a 40 minute train journey from Rossio Station in the Baixa district. My top tip would be to get an early train to beat the rush at the other end, when all the tourist spots open at 10am. 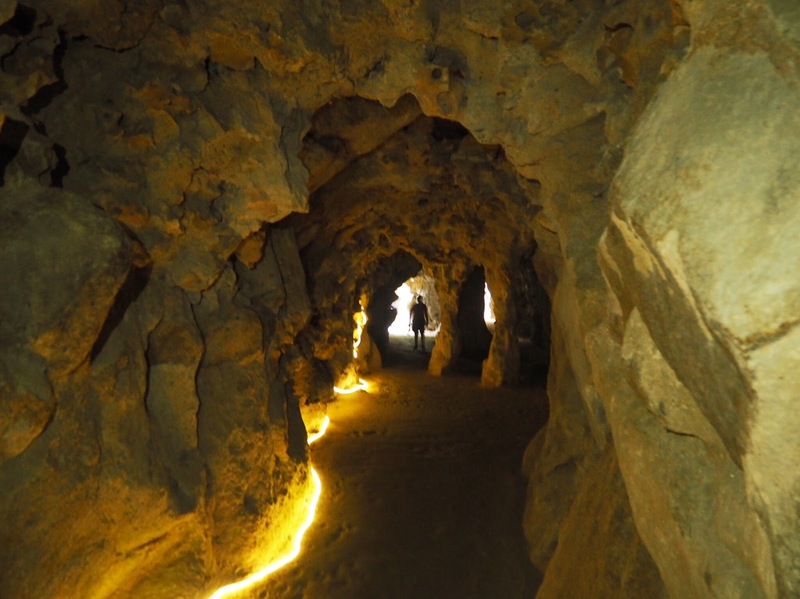 Upon arrival in Sintra, we weren’t really sure how to go about it. Despite lots of research, I didn’t love the idea of jumping on one of the tourist coaches lurking by the station – they looked so out of places against the beautiful surroundings, and I wanted to explore more on foot. Instead, we walked the residential roads up to the Palace of Sintra, where we grabbed some breakfast and made an action plan. We then jumped into a motorised rickshaw, which took us all the way up the near-vertical hill to Pena Palace. The rickshaw was SO fun and only cost around €10. I would strongly recommend against walking between palaces – it’s a long way, the roads are steep and there are no paths. 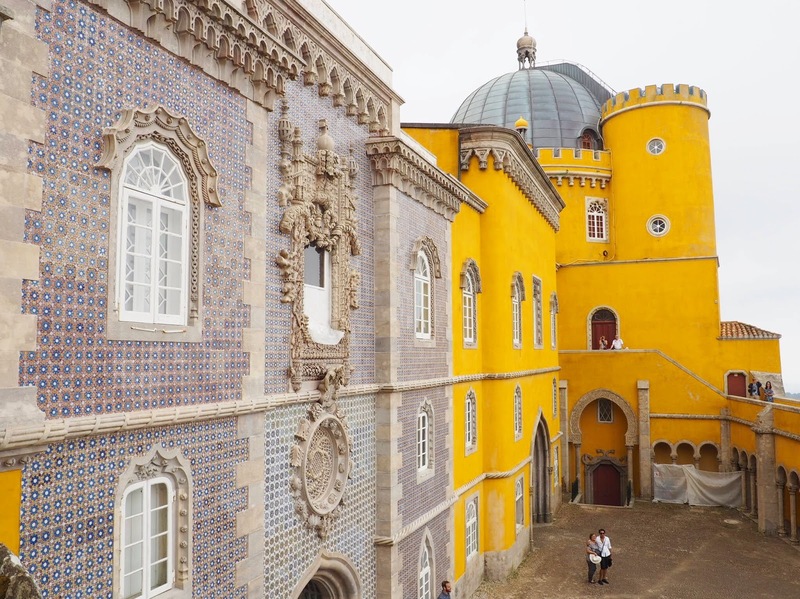 Pena Palace is stunning, but trust us to go there on a cloudy day! Views were blocked by thick fluffy clouds, but you still can’t help but be impressed with the palace itself. Its bright yellow exterior, beautiful tiled walls and sheer majestic presence atop the hill was brilliant. It gets really busy, so be prepared to fight for a table to eat your lunch and feel like you’re on a school trip shuffling around the palace interiors. 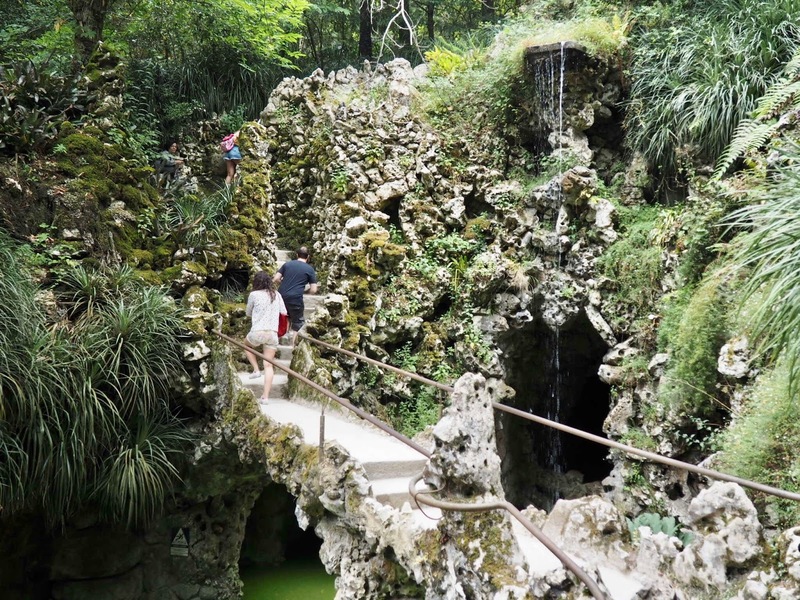 After, we headed (via another rickshaw) to Quinta da Regaleira, a UNESCO World Heritage Site. The estate is worth a visit purely for its gardens – we didn’t even go inside the mansion. The grounds are stunning. Waterfalls, underground mazes and greenery galore, it was truly beautiful and highly recommended. 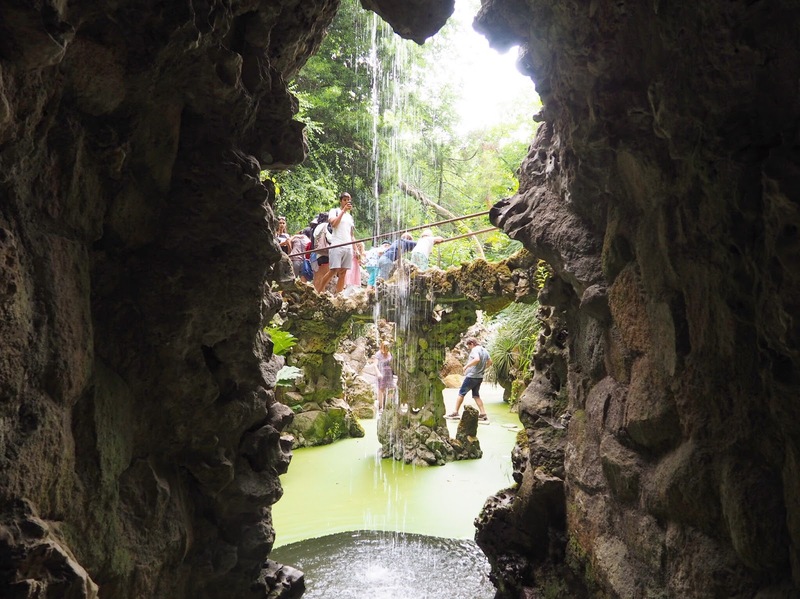 Don’t miss The Initiation Well! 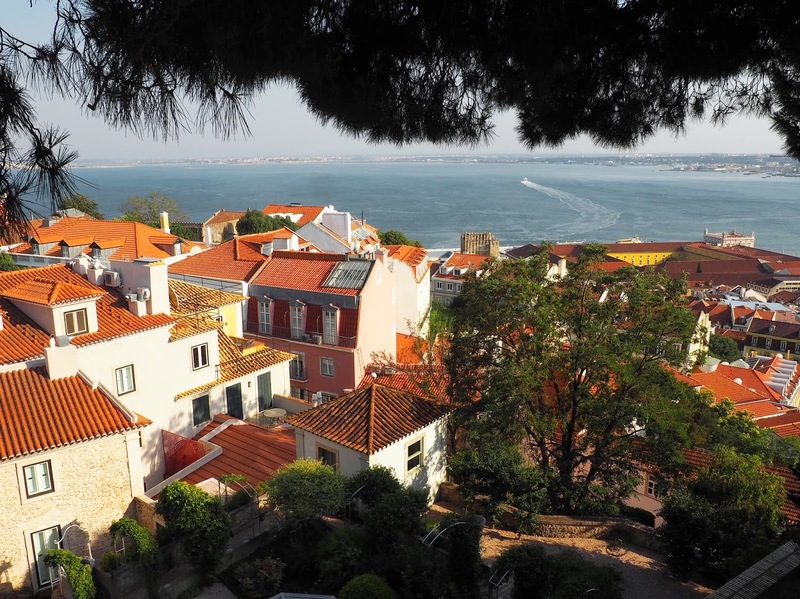 Despite Lisbon being a waterfront city on the river, beaches aren’t far away. We caught a train from Cais do Sodre station to Cascais, a coastal resort town to the west of Lisbon. Train run every half an hour, but get to the station early – the queues are crazy! 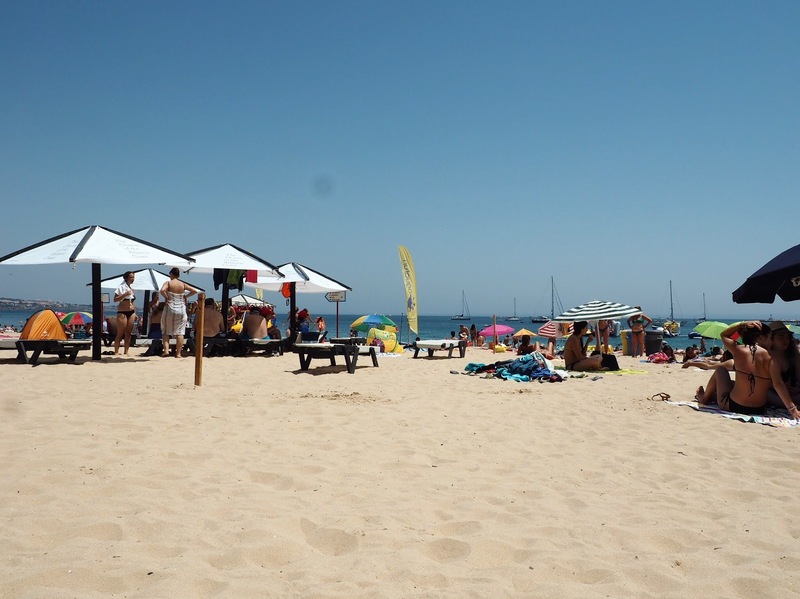 We had a beach day at Cascais, which wasn’t too busy for a hot day in June. We explored the town before heading back to Lisbon, and it’s filled with trinket shops, bars and restaurants. Sit by the harbour with a drink to soak up the atmosphere – it’s beautiful. Aside from the tourist hotspot that is the Time Out Market, my top food recommendation has to be Pistola y Corazon, a Mexican joint not far from the market. 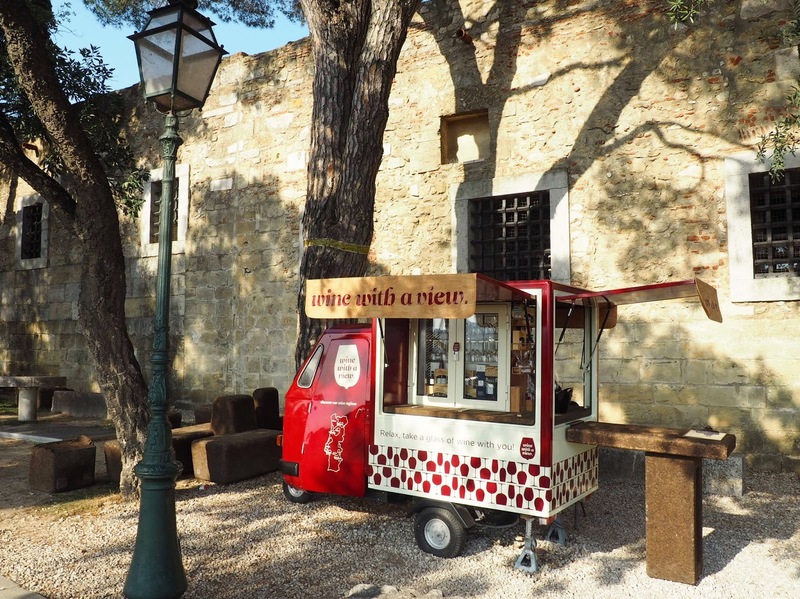 One of the best travel tips someone has ever given me is if the locals are queueing up for a restaurant, you know it’s good, and this couldn’t be more true in this instance. I still think about the tacos and we went back twice! On our last night, we enjoyed rooftop drinks at a bar called Noobai. 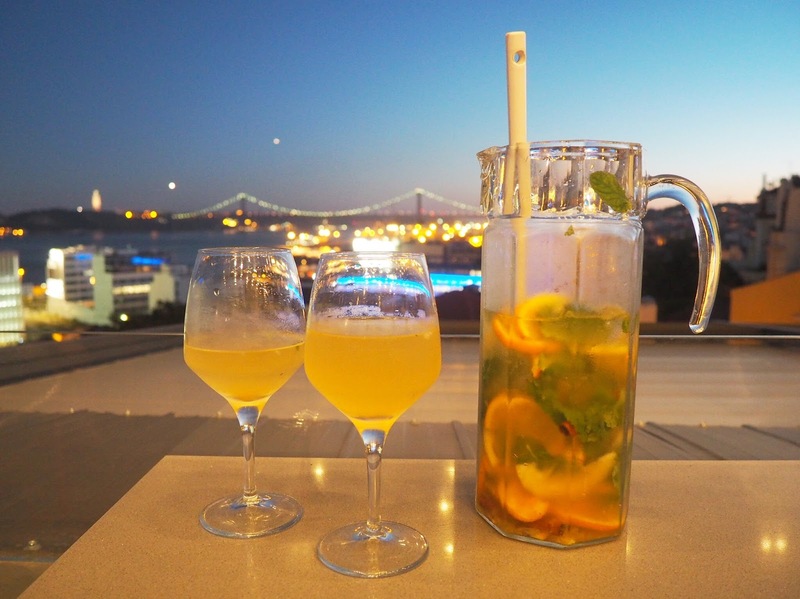 We drank white Sangria (who knew that was a thing) and enjoyed the amazing view of the bridge and city beneath us. It was the perfect way to end a lovely (but sweaty!) week away! I loved Lisbon and would happily go back in a heartbeat. 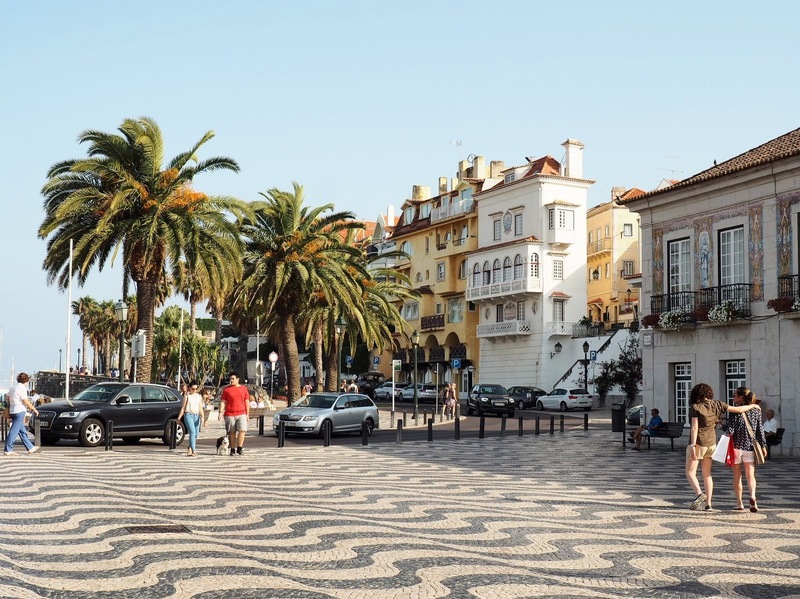 This is probably the longest blog post I;ve ever written but I hope the detail has given you some pointers to start planning your trip to the Portuguese capital! Happy holidays!